Register in person at the United Way of St. Charles Office (13207 River Road in Luling) Wednesday-Thursday 8am-4pm & Friday 8am-noon. In-Person registration is also available Friday, 4/5 at the West Bank Bridge Park from 5-7pm & Saturday 4/6 beginning at 6:30am. Packet Pick up will be available beginning on Thursday, 4/4 at the United Way of St. Charles Office ( 13207 River Road in Luling) from 8am-4pm & Friday, 4/5 from 8am-12pm. You can also pick up packets on Friday, 4/5 at the West Bank Bridge Park ( 13825 River Road in Luling ) from 5pm-7pm & on RACE DAY ( West Bank Bridge Park) Beginning at 6:30am. * FOR MORE DETAILS - Please scroll down and review information below. ** This Race will be Chip Timed : Please check the name label on the back of your race number bib, each bib has a timing chip attached that is assigned only to the person who's name is on the label. If picking up race number bibs for others, please cross check to make sure you give out the correct bib to each participant. 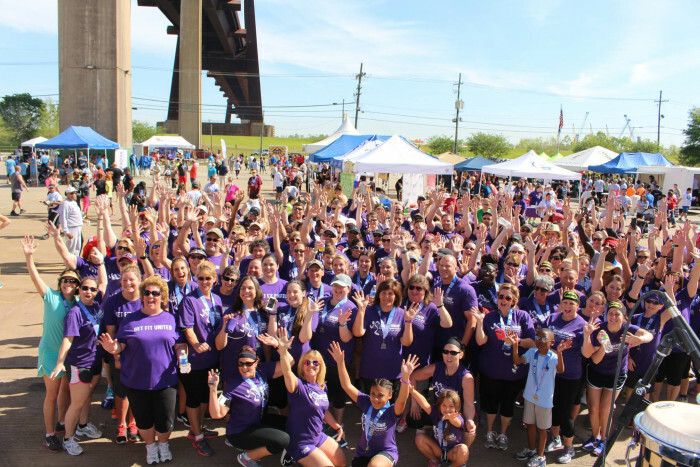 The United Way of St. Charles Bridge Run is the lead event of the 2019 Louisiana Bridge Run Series. 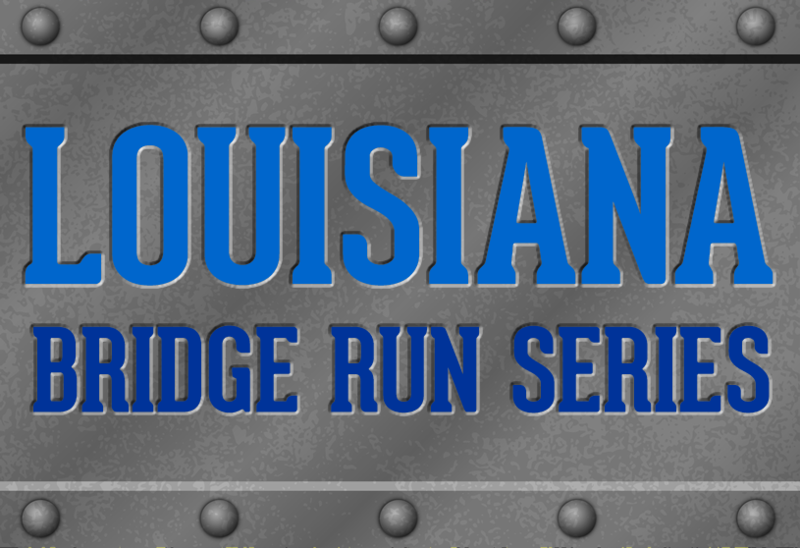 Register for and complete all three ( 3 ) events of the Louisiana Bridge Run Series. The 5K course offers a panoramic view from atop the Hale Boggs Mississippi River Bridge. The United Way Bridge Run is the largest road race across the Mississippi River in the nation. *Should the weather or other safety concerns warrant, an alternate ground level course on the west bank will be used. In event of extreme circumstances, the race may be cancelled or postponed and the “no refund” policy will be applied. East Bank Bridge Park (Destrehan) from I-10, take I-310 south to Destrehan exit (Exit #6). Bridge Park is underneath the Hale Boggs Bridge. West Bank Bridge Park (Luling) cross the bridge, take first exit on bridge to ground level.Bridge Park is at intersection with River Road. PARKING ON THE LEVEE IS PROHIBITED! Parking is available at the following locations: West Bank Bridge Park, St. Charles Parish School Board, and all the schools down Judge Edward Dufrense Lane in Luling. On the East Bank side ( Harry Hurst Middle School and St. Charles Borromeo School). Free Bus transportation is provided back to the East Bank after the Race. Participants parking near the East Bank Bridge Park must have their race number with them. ** Race will begin at 8:30a.m. Online Registration: Online registration will close Tuesday, April 2nd at 11:59pm. Paper Registration: We will continue to accept paper registration forms in person at the UWSC office now through Friday, April 5th at noon. Our office hours are 8am-4pm Monday-Thursday & 8am-noon on Friday. Completed forms may also be faxed to the United Way of St. Charles Office at 985-331-9069. Packet Pick-Up: We are excited to offer chip timing again for this year’s race. In order to allow our race management company to accurately assign the race bibs in their system, we are not distributing bib numbers or t-shirts until the designated packet pick-up days below. *Please arrive early in order to process and allow time for bus transportation. 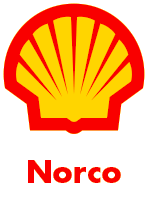 The company with the most pre-registrants (March 29th) in the race will be awarded the “Team Challenge” Trophy. Please denote your company name on registration form & when registering online. Commemorative t-shirts will be given out at the pre-race packet pickup event and on the day of race at the West Bank Bridge Park. Please keep race number/t-shirt tab until claiming t-shirt. All finishers will receive a custom race medallion!! This event will be chip timed.